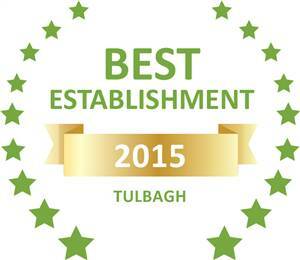 Based on reviews of establishments, Buffalo Drift - Tented camp has been voted Best Establishment in Tulbagh for 2015. Buffalo Drift offers a variety of accommodation and events venues, situated either on the farm just outside Tulbagh or in Yzerfontein. Buffalo Drift is known for its spectacular “Fort”, situated on Ruigtevlei Farm, near Tulbagh on the banks of the lush Berg River. This Fort has been home to many successful bachelor parties. The River Cottage is a recently built facility, suited to smaller groups of up to 18 people, ideal for students or bachelors looking to have a good time. Our Luxury Tents offer the perfect romantic getaway for couples who want to get all loved up. • There is no need to check-in; guests can proceed straight to booked facility/venue. • When checking out simply close the door and be on your way. • The road from the main road is a gravel road but does not require a 4 x 4. However sports cars and road bikes are not recommended. • Please note Buffalo drift is situated on a functional farm with live animals, therefor please drive slowly and close all gates behind you. • Management and staff will do their rounds during the day. The Captain’s Cabin is found nestled on a nature reserve with spectacular views of the Atlantic shoreline. Enjoy the seclusion that this private beach has to offer or venture off to Die Stal Pub for some fun. At 18 First Avenue, which is situated in the heart of Yzerfontein, you will find a luxury 9 sleeper house. Kitted out with en suite bathrooms, large entertainment areas, inside and outside braai areas and a short walk to the beach and shops. Blombosch farm is situated 5km outside of the beautiful coastal town Yzerfontein. It consists of Blombosch hideaway lodge and four rustic farm cottages. If you want to get away from the hussle and bussle and get back to the basics this is the place for you! Our farm location also offers a fuss-free wedding package that allows you the freedom to have your dream wedding. Keep it simple or add what you wish to make your day unforgettable. If young at heart and out to find some fun, be sure not to miss any of the music festivals that take place on the farm during the warmer months. River Fest and Jungala are not to be missed!